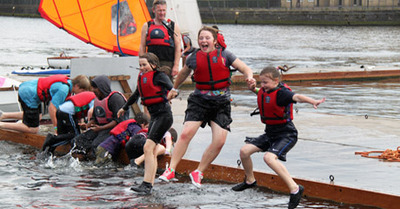 The opportunity to go 'dragonboating' certainly got the attention of the group of 8 and 9 year old school children I accompanied to Docklands Sailing and Watersports Centre. And they weren't the only excited ones; as soon as I got strapped into my life-jacket I was pretty much jumping up and down with glee. Unfortunately for me, that session was just for the kids. 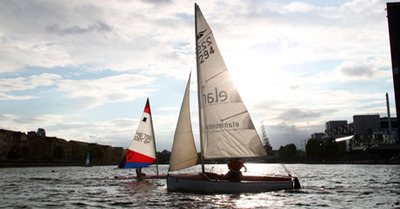 But the centre does offer lots of adult courses, including sailing, windsurfing, kayaking and power boating – and it can also be booked for corporate team-building events. I also found out that for children, using the centre is amazingly cheap: just £3 a session for non-members, or all-inclusive with membership, which is about £20 for the year. The youth club runs all year round on Sundays, and there are extra sessions during the school holidays – guaranteed to prevent boredom. The centre has a friendly feel and welcomes all levels of ability, from absolute beginners up to expert racers. And throughout the summer, it's running twilight sessions, complete with quayside barbecue; the perfect way to unwind and make the most of the longer evenings. When: Check the website for events and courses. Cost: Depends; subsidised for children.